Everyone that has traveled extensively to places in Europe forms opinions of the cities that become their favorites, and become places that have a special meaning for them. The personality of a city goes much deeper than tourist destinations. They go into the identity of a city that makes it unique, and that uniqueness is not found just in those places that make it famous but on the streets and venues where the locals inhabit. London: A great walking city, much of London can be seen by keeping in close proximity to the Thames. Home to four World Heritage Sites, London’s charm is its important historical sites, such as The Tower of London, whose history goes back almost 1000 years, to upriver to Big Ben, Westminster Abbey (over 1000 years in history), and Buckingham Palace in the City of Westminster. Because the city street patterns have not changed much in centuries, there is quite a haphazard way they are laid out. But that is part of the charm in walking this city, and the extensive Underground Tube system is perhaps the best mass transit system in any city in Europe, providing you a break if you can walk no further. The second great aspect of London making it one of the great places to travel is its large theater district, one of the largest of any city in the world. Paris: This city obviously has many charms, but to me, the greatest asset which makes this one of the best places to visit in Europe is the architecture, thus making this the best walking city, even topping London. Keep close to the Seine, then at the Eiffel Tower walk in the direction of the main street of Paris and the Arch of Triumph, and you will witness some of the greatest architecture anywhere. Vienna: One of the great places to visit for the music is Vienna. You can experience much of this great city by walking, from the area around St. Stephan’s Cathedral to the old palace area. There are many concert venues to be found, plus multiple great museums making Vienna a great place to travel for its culture. Amsterdam: Similar to Venice, Amsterdam’s charm is in its canals. The city is virtually a web of canals, and there is a boat of every size or shape, and for any occasion, you may have. A downtown area is a place of great Dutch charm, but the waterways are really what make this one of the great places to travel. Also, as with all large European cities, a great amount of culture can be found in the form of museums of the great Amsterdam artists, among them Van Gogh and Rembrandt. Barcelona: This city with the small town feel but the progressive attitude is really a hidden gem when looking for the best places to visit in Europe. Situated on the Mediterranean Sea in hilly terrain that gives it character, this second city in Spain gives the attitude that it can provide anything that the great cities of Europe can provide, but still gives off the feel of a smaller metro area. For food, you really must experience the Tapas Restaurants. This is obviously just a small sample of the great places to travel in Europe, but every one of these places offers the unique trait that makes it special from other places. If you are contemplating a trip to Europe soon, we hope you will try to take in one or more of these remarkable places. Huge thank you to this texas defensive driving school for supporting our site! Asia is not only the largest continent in the world. It also has the most admirable natural treasures and the richest and most diverse culture in the world. 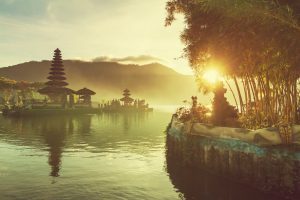 From its mystical temples and landmarks of antiquity, soothing beaches and enchanting landscapes to the astonishing skyscrapers and infrastructure of modernity, Asia is definitely a place to go on anyone’s bucket list. Here is a glimpse of the top must see places to travel to in Asia. Asia is the origin of the world’s biggest religions. 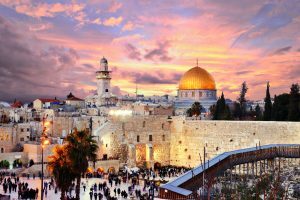 Jerusalem is the holy land for Jews, Christians and Muslims. Notable places to visit included Golgotha, where Jesus was crucified, the Dome of the Rock and the Cenacle. The second biggest economy in the world, China is also a contender as the oldest civilization in the world. This capital is host to the most momentous cultural sites namely, the Great Wall of China, the only man made structure visible from space and the Forbidden City, the imperial palace of China’s ancient dynasties. India is one of the most diversely exotic cultures in the world. Angra is the host to the glamorous civilization of the Mughal Empire, which is once as progressive as the Roman Empire. Notable places included the Taj Mahal, one of the Seven Wonders of the World. The Philippines is a heavenly paradise on earth that is rich in exquisite natural beauties and the most hospitable people in the world. Palawan is the home to the famed underground river, a new seven wonder of the world; the Tubbataha reef which boasts of the most beautiful coral reefs in the world; and numerous pristine tropical beaches. The home of the samurai, anime, and the most high tech in the world, Japan is the reflection of the futuristic modern consumer society. Tokyo is the center of all high tech. Thailand is a country that has never been colonized and infected by western culture. The purity of its preserved culture and traditions makes the country an absolute wonder. Phuket boasts of many sandy beaches and immaculate waters like Surin Beach, Bangtao and the Westin Siray Bay. Mount Everest is the tallest mountain in the world which will literally take visitors on the topmost of the world. Dubai is the gateway of tourists to the furtive and conservative world of Arabs through which one can enjoy leisure travel and activities while simultaneously learning the Arabian culture and enjoying Middle Eastern topography. Indonesia is the world’s largest archipelago comprised of over 17,000 islands, thus the most number of primeval coastlines and beaches. Bali is one of its most visited resorts, which is also rich with other tourist spots such as Ubud, Kuta and Sanur. Travel in Asia entails a visit to Malaysia. Apart from its beautiful beaches, it has many other must-see places such as the Mulu Caves, the largest cave chamber in the world and the Petronas Twin Towers, the tallest twin buildings in the world. For a little bit of luxury closer to home, take a look at Kansas City Bathroom Remodeling. They are pros at bathroom remodeling Kansas City and can upgrade your current bathroom from, well, just a bathroom, to your private home oasis. another plus in making the place an ideal travel destination. in your journey to live through these amusing places. peculiar because of Sydney harbor, Sydney Harbor Bridge and Sydney opera house. Bondi, Whale and Manly beaches are perfect for sidewalks and surfing the ocean. attractions include the Blue Mountains and the Royal National Park. food stalls lined up in the city to take your tongue to roller coaster ride. parks on this drive that allow you to enjoy surfing and sidewalks. its rainforests spread across miles, and freshwater lakes about 200 in number. during their short stay in Fraser Island. fulfill all the required conditions. cuddly on TV, they are still wild animals and should not be approached if seen. Travel Insurance for your trip. ensure the ongoing survival of these spectacular islands and their inhabitants. Unique Iguanas and sea lions can be spotted here, among others. tapirs, eagles, monkeys, toucans, and jaguars. trekking in the area, one can expect to come across many interesting animals. the size of a medium sized dog. Giant ant eaters are also an amazing sight. extremely lucky, you might even spot a jaguar. also hosts an array of wildlife. Costline Behavioral Health’s drug rehab centers have a variety of programs for people from every walk of life so you can find the one that is best for you and give yourself the best chance at staying on the road to recovery. North America is a major landmass that there will be such a great amount to see and too little time to see every one of them. Be that as it may, don’t let this stress you. 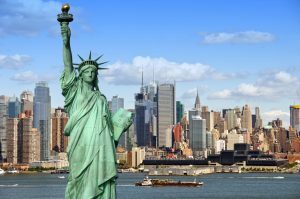 Here are ten brilliant places you ought to have in your timetable for a great North American tour or only a place to unwind in and appreciate time with a friend or family member. 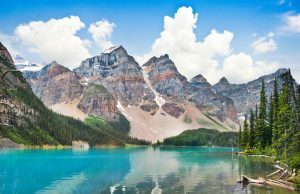 Investigate Canada particularly the Rocky Mountain. This is a great place for climbing in the event that you are a nature darling. You will likewise get the opportunity to appreciate kayak trips and get the opportunity to visit the Miette Hot Springs. This is positively an exceptionally special ordeal of a lifetime as you kayak with the orcas of the Pacific Ocean. Beside this officially one of a kind affair, you will likewise get the chance to appreciate the roughness of the shorelines of British Columbia. From a far distance, you can likewise observe the immense rainforest of the west drift. This is unquestionably for the nature darlings who cherish climbing. In Cape Breton, Nova Scotia, appreciate the footpaths along its coasts, which the tourists and local people alike love. On the off chance that you adore climbing, at that point keep in mind Cape Breton’s Cabot Trail. This is an ideal place for families to have their vacations as this little island offers a considerable measure of cleared and rock streets for the explorers to appreciate. Additionally, this is a decent place to lease a bicycle and ride along the numerous streets that keep running along the wide open. Around evening time, you can simply tune in to and appreciate the show exhibitions at Prince Edward Island’s Indian River. Yukon has numerous national parks to visit. Beside its excellent national parks, you will likewise discover kayak rides. These kayak rides take after the old trails in the history, so tourists get the opportunity to feel the place’s history. In Wyoming, USA, you can encounter what it feels like to be one of the Lakota individuals, a glad Indian tribe. There are tours that offer, for example, they tour you around the strong waterways Lakota Nation brings to the table and get the opportunity to see the mountains and fields of the land. What adds more to the excellence of this tour is that you will likewise get the opportunity to take in more about the Lakota individuals. The best place to be in Washington is the Olympic National Park. Here, you will get the opportunity to encounter climbing in its magnificent and reviving rainforest. This place is additionally known for the great angling background it offers to the individuals who appreciate outdoors and angling trips. In the event that you cherish the city, in the same way you cherish good roofers memphis, at that point go for the private tours that will manage you around the city’s well known locales. Be that as it may, in the event that you are burnt out on city life and need to see nature, New York likewise has it in store for you. You can take a climbing tour in the Hudson Valley and get the chance to be unified with nature. For the individuals who adore nature and games in the meantime, at that point they will without a doubt appreciate Sequoia National Park. This offers a great skiing background and also great views. Additionally, you can encounter winter mountaineering in the recreation center on the off chance that you are up to figuring out how. In the event that you need to invest some energy alone with your family, at that point the Haymoon Resort of Montana is for you. Not exclusively will you get the chance to invest a tranquil energy in their cabin, however you will likewise get the opportunity to appreciate the perspectives the hotel brings to the table. It is close to the Glacier National Park that it will be is simple for you to visit the recreation center too. So there are the exotic places that we all know about. Places like the Caribbean, Fiji and so many others. Have you ever wondered though what the most unusual exotic places are? I know that I sure have. Check out this video with some great ideas of really awesome places to go!